Odemwingie to Newcastle – Is he really what we need? There’s no doubt about it that Newcastle need another striker to replace Demba Ba after his move to Chelsea last week, and one rumour that’s been doing the rounds is potential interest in West Brom’s Peter Odemwingie. While the club seems intent on continuing to chase Loic Remy from Marseille, there is a possibility we could see the Nigerian Odemwingie join up with Pardew’s squad this month. Here, we take a look at the strengths and weaknesses of signing the 31 year old, and take a further look at possible alternatives. Odemwingie only has 18 months left on his contract at the Hawthorns, and it looks like a fee of only £3 million would be enough to bring him to the North East. There’s no doubt that he is a good player, in the three years he’s spent in English football so far there have been flashes of brilliance.A hat-rick last season in the 5-1 thrashing of local rivals Wolves was a peak, and he’s also found the net against Arsenal and Tottenham. His record stands at 30 goals in 73 appearances since joining the Baggies, a strike rate of approximately one goal in every 2.5 games. This record is actually exceptionally similar to Demba Ba, although people will often assume Ba is far more prolific. Ba has bagged 38 times in 72 appearances, better than Odemwingie but not too dissimilar. Couple this in with the way that the Nigerian has often operated from the right or left, in a support role to Romelu Lukaku or Shane Long. This would be a great help to Pardew and Newcastle, as it would allow better fluency to the 4-2-3-1 that is currently being preferred. We know Ba was unhappy at being forced out wide, and that Cisse simply isn’t good enough to play on the wing, so Odemwingie could add better balance to the side and quality. There are negatives to the possible transfer though. He is 31, and will be 32 by the end of the season, meaning there is little potential sell-on value. It’s unlikely that Ashley will make a move; with recent trends suggesting Newcastle will opt for a younger alternative. Also, Odemwingie is known to be a divisive figure, often causing disruption. His blazing row with the Nigerian national team’s coach earlier this season highlights this, and he certainly doesn’t hold back when he feels strongly about something. This is perhaps not what the club need at a time when they need everybody to be singing from the same hymn sheet. It’s clear that this rumour will create differences in opinion. However, it is certain that the Magpies could do a lot worse than Peter Odemwingie. While Remy would be a step up in class, he’d also cost a lot more. Ashley doesn’t seem too keen to splash the cash at the moment, and everybody is in agreement that Newcastle do need to add to their squad. Danny Graham is another option, and one that also has its merits. Swansea are unlikely, however, to part company with last year’s top scorer for less than £5.5 million, and Sunderland are circling. Whatever happens, there is sure to be some movement in the North East. Who would you like to see join the club in this transfer window? 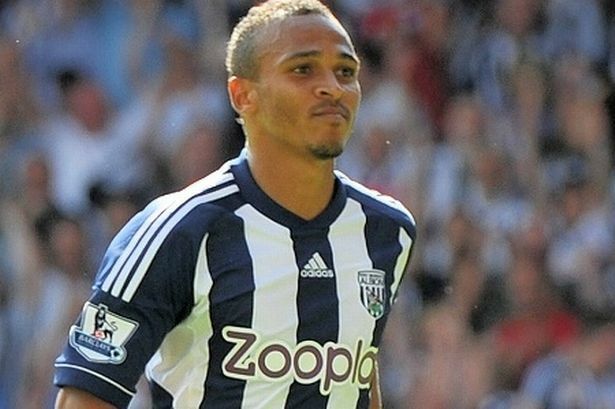 Is Peter Odemwingie a viable option? Join the debate and let us know, either on Twitter or by commenting below. 15 Comments on Odemwingie to Newcastle – Is he really what we need? Not gonna happen. 3 million? No way. Well, he is 31 years old. They won’t get much more than 5million for him. Secondly, he’;s only started 12 of West Brom’s past 21 games. seeing as your the editor, surely you would have done a tiny bit of research into Newcastle’s transfer policy, and found that there is no chance in hell Mike Ashley will sign a 31 year old on a free, let alone for 3-5 million, what a piss poor article buy another editor with absolutely no substance behind his weak headline. So I guess my earlier post bit the dust? Methinks constructive criticism is a no go on here. Maybe it was taken too personally. Or it was easier to erase the post than counter with logic. Id take him uin a crack we need to stay up this year more than ever with the new tv money due to start next he should be bests replacement that never came though which would still leave rooom for BA’s repalcement. problem is though its looking more likely we wont get anyone in, a third of the window is gone already and we knew we needed a forward at the end of august yet they still havent put a bid in yet. Dan Cook – this is a football club blog. We’re evaluating all the rumours that have come our way. We’re not saying it’s definitely going to happen, we’re discussing whether we really need him. Our evaluation is that the deal IS highly unlikely given his age and dwindling technical ability – don;t get angry at us for commenting on a rumour.. The fact that we turned down a larger bid from a middle eastern club in the summer means a fee of 3 million would not be enough! BRE 00135 – It wasn’t constructive criticism. You offered no counter argument just direct criticism at me, who hadn’t even written the post, and our writer for merely exploring a transfer rumour. Get off your high horse. I wrote this piece, so any criticism, however unfairly given, should be directed at me. As Harry said though, this piece is merely discussing a rumour that was mooted in several papers. I don’t believe it will happen either, but what’s the harm in discussing the move? If you’re so big headed and arrogant as to not believe it, merely google ‘Odemwingie to Newcastle’ and you’ll find a few articles from national papers on it. So telling us to do our ‘research’ is just wrong. If it offends you, don’t read it.